What Is the Statute of Limitations on Wrongful Death? A loved one’s death may always seem “wrong,” but in the eyes of the law, a wrongful death is defined as one that occurred as a result of another person’s negligence or wrongful conduct. A wrongful death lawsuit may be filed by a personal injury lawyer on behalf of surviving family members. While it can’t bring the decedent back, a wrongful death claim may help the surviving family seek closure for their loss and justice on behalf of their loved one. Like other civil lawsuits, wrongful death claims are subjected to statutes of limitations. A statute of limitations is a regulation that prohibits legal claims made after a certain period of time. There are statutes of limitations for both criminal and civil actions. A wrongful death lawsuit is a civil action. Statutes of limitations are established by the states, and so the time limits can vary from one state to the next. Within one state, there are different statutes of limitations on different types of legal actions. For each, the clock begins ticking on the date that the incident happened, the date it was discovered, or the date on which reasonable efforts could have discovered it. If your loved one lost his or her life due to the negligence or misconduct of another person, the statute of limitations places a deadline on your legal right to file a lawsuit. It is crucial to understand the deadline for this type of legal claim because you will forfeit your right to file a lawsuit unless you consult an attorney in a timely manner. The California legislature has determined that surviving family members may only file a lawsuit against a negligent party for the wrongful death of their loved one if they do so before two years have passed. This two year statute of limitations is applicable for all types of wrongful death claims in California. It includes wrongful death stemming from car accidents, premises liability, medical malpractice, product liability, toxic substance exposure, and work-related deaths. How Long Should Family Members Wait to File a Claim? Two years might seem like a long time, especially in the wake of a loved one’s death when grief and mourning take priority. However, it is in the best interests of the family to contact a personal injury attorney as soon as possible. Long before a lawsuit is filed, the lawyer must conduct a pre-filing investigation. Since evidence can degrade over time and the memories of eyewitnesses can become unreliable, it’s best to begin this process right away. Due to the risk of the statute of limitations expiring, it’s in the best interests of surviving family members to contact a Los Angeles personal injury lawyer at the Salamati Law Firm as soon as possible. We will review your case free of charge, with no obligation to you. Every case is important to us, and every client receives the same caliber of uncompromising care and attention. We understand that the loss of a loved one is a devastating tragedy that can never truly be mitigated. However, we sincerely hope that holding accountable those who are responsible for your loved one’s death will bring your family peace. For the vigorous legal advocacy services you need and the compassionate care you deserve, reach out today. Monday, October 1, 2018, marked the one-year anniversary of the Las Vegas shooting that took the lives of 58 attendees of the Route 91 Harvest music festival. Hundreds more were injured in the attack. People in and around Las Vegas marked the event with memorials. Meanwhile, investigations have still not revealed a clear motive for the massacre. Officials throughout Nevada recognized the enormity of the anniversary. Governor Brian Sandoval ordered that all state and federal flags fly at half staff from sunrise to sunset. The Las Vegas Portraits Project, a display of artwork of the victims, is on display at the Clark County Government Center through October 19. A shooting survivor from Los Angeles, Dennis Guerrero, started a nonprofit called LoveWins and it is raising money to help the families left behind by the 58 who died. Remarkably, just a few days before the anniversary, Rosemarie Melanson was released from the hospital. There were over 800 people injured in the shooting and Melanson was the last of the victims to remain hospitalized. She suffered bullet wounds to several organs and was placed on life support immediately after the shooting. Miraculously, she survived, and after nearly a year in the hospital, she finally returned home. More than 20,000 people were attending the Route 91 Harvest music festival when Stephen Paddock opened fire on the crowd, killing 58 people and injuring hundreds more. Since then, more than 2,000 people have either sued or threatened to sue those connected with the venue or the shooter. Hundreds of victims have joined in five lawsuits in state courts in California and Nevada, naming as defendants MGM Resorts International for allegedly not having proper security procedures and trained staff; concert organizer Live Nation for allegedly not having adequate exits and trained employees; and the estate of shooter Stephen Paddock. MGM, the owner of Mandalay Bay, took a highly unusual step and filed a federal lawsuit naming about 2,000 people who were have sued or threatened to sue the company, requesting that the court issue a declaratory judgment stating that MGM is not liable, and requesting that all of the lawsuits against it be pooled together in multi-district litigation (MDL). Earlier this month, MGM’s requests were denied, allowing existing and future lawsuits against it to proceed in state courts without being transferred to an MDL docket. 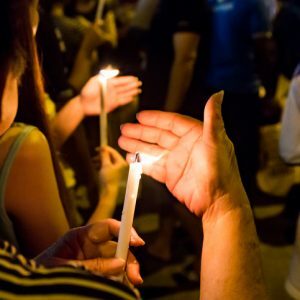 Los Angeles personal injury attorney Sean Salamati understands the legal battle that the shooting victims and their families face. The Salamati Law Firm has dedicated the past two decades to fighting for the rights of personal injury victims in LA and around Southern California. If you have been injured and believe someone else bears legal responsibility, call today to schedule a free confidential consultation. Suffering the loss of a family breadwinner is one of the most difficult situations we can encounter in life. Grief may make you physically ill, depressed, or anxious. You and your friends and family may miss the deceased person every day. You also may suffer financial duress. The family breadwinner may have been responsible for all or the greatest proportion of your family’s income. In the aftermath of the breadwinner’s death, you may have to make major changes in your life, such as moving from the home you shared, if it has become unaffordable. You may become unable to pay bills, or become fearful of them mounting up. You may need to retrain yourself for a job, or a higher-paying position. You may also be left with medical bills and funeral or burial expenses. All of this can be hard enough, but if your family breadwinner died due to the negligence of another party, it can make your pain feel that much worse. There is a potential solution to the financial duress, however. A wrongful death suit claim can seek financial compensation associated with the death of a breadwinner. Wrongful death compensation can be awarded to replace some or all of the support a family received from a breadwinner, both financial and emotional, for example. It can pay for medical bills related to the cause of death, and for funeral and burial costs. Wrongful death claims can also seek financial compensation for loss of companionship and consortium, loss of guidance and training, and loss of household services. Wrongful death claims in California may be brought if the death was caused by a wrongful act or negligence of another party. Negligence means that the other party knew a condition or event was unsafe, had responsibility to ensure that it was safe, had enough time to make it safe, and did not. A person who died from falling off a beam on a construction site, for example, may have fallen because safety equipment or training was not provided or was not adequate to prevent the fall. A wrongful death claim is a civil suit asking for financial compensation. It is not a criminal suit asking for the negligent party to be punished. However, wrongful death suits can also serve as a deterrent to negligent parties for their future actions. Under California law, wrongful death claims may be brought by a breadwinner’s spouse, domestic partner, next living descendent or heir (parents or siblings), or financial dependents, such as partners, children, stepchildren, or parents. 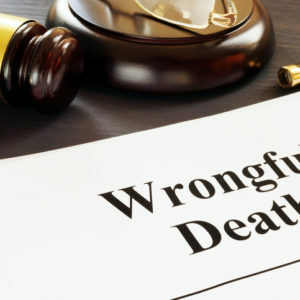 If you think that negligence contributed to the death of your loved one, call experienced Los Angeles wrongful death attorney Sean Salamati today. Se habla español. We will fight to see that justice is done. If you agree to work with Salamati Law Firm’s team, you owe us nothing unless we win your case, and payment will come from the final jury award or settlement amount. How Much Does It Cost to Die in California? 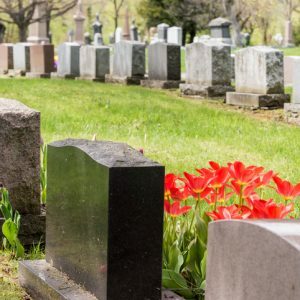 Other than cars and homes, funerals are among the most expensive purchases consumers make in the United States, says the California Department of Consumer Affairs’ Cemetery and Funeral Bureau. Over the past decade, the average cost of a funeral has spiked nearly 40 percent, pushing some families, who are already mourning the loss of a loved one, into dire economic straits. When a death is sudden and traumatic, families often make buying decisions based on pure emotion, wanting to purchase the finest casket and grandest service for their relative, without thinking about the bills. Then there are those who suffer from protracted illnesses or degenerative diseases, tallying up massive bills for hospital stays, doctor visits and treatments before they pass. The underlying problem is that people don’t like to talk about their own mortality. It’s a depressing, morbid topic that tends to be avoided until it’s time to call the funeral home and make arrangements. Given that every person must eventually face this difficult part of life, the costs of dying should not be overlooked. One of the best ways to ensure your loved ones don’t have to make these decisions during periods of tremendous emotional distress is to plan ahead. It can also help save money. Cremation or burial? What type of flowers, casket or car service? How much does a burial plot cost in southern California? By understanding the costs associated with dying, families can plan and budget accordingly. Cremation: Roughly 70 percent of Californians chose cremation over burial. This generally equates to lower costs, compared to other states. The median cost for a “basic” cremation in Los Angeles County ranges between $550 and $2,000. Immediate burial (not including casket cost): Transfer to the funeral home, placement into the casket, and transfer to the grave site without formal viewing. From $650 to more than $4,300. Casket: Funeral homes make big profits on caskets, marking them up nearly 300 percent above cost. The least expensive wood caskets average about $600, while metal caskets sell for between $1,500 and $4,000. Funeral transportation: Use of a service car or hearse will cost between $150 and $320. Embalming: Embalming is necessary for open-casket funerals and usually costs between $500-700. Additional cosmetics, hairdressing or preparations will cost an extra $200-$400. Viewing and ceremony: Funeral homes charge, on average, $420 for viewing, and $500 for the funeral ceremony. Burial plot: land scarcity in CA is driving up prices. At Whittier’s Rose Hills Memorial Park, plot prices start at $3,500 and go up. A crypt in Inglewood Park Cemetery comes with a price tag of $10,000. Gravestone: Between $800 and $3,000 depending on size and adornment. According to data from the National Funeral Directors Association, the average funeral today costs between $8,000 and $10,000. In 2013, California Senate Bill 658 was passed, requiring funeral homes to post detailed price lists online. Those without websites are legally required to present all options and price points to consumers. As veteran wrongful death attorneys in Los Angeles, the team at Salamati Law encourages families to plan ahead and discuss their wishes for burial or cremation, before you’re confronted with a crisis situation. What Evidence Is Needed in a Wrongful Death Case? “Wrongful death” is the name the law gives to a death that resulted from another party’s negligence. If the negligence had resulted in an injury, it would be termed personal injury. If it results in death or conditions that lead to death, however, it is termed wrongful death. If your loved one has died from a car accident due to another driver’s carelessness or violation of traffic laws, for example, you may be able to bring a wrongful death suit. Wrongful death cases also need to show that the other party, whether an individual or a business, knew or should have known that the actions or conditions that caused the death were dangerous and that they should have acted responsibly. 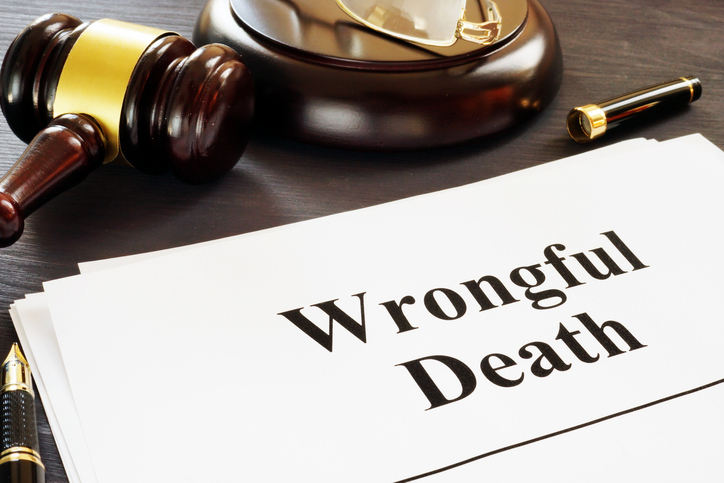 What types of evidence do you need to file a wrongful death lawsuit? Death certificates are official documents that contain the cause of death as determined by the coroner. If a slip and fall caused fatal injuries, these injuries will be noted on the death certificate. If the wrongful death of your loved one was due to an accident or other circumstance in which the police were called, the police reports will be needed. Be sure to obtain and keep copies of any police report in connection with an accident or investigation as soon as possible. Some causes of wrongful death may be found in medical records. If your loved one died as a result of being given the wrong medication in a hospital, for example, all medications would be noted as part of the medical records. Medical records can also help determine if notations in the records were falsified or removed, or changed at a later date. If you believe that medical malpractice caused your loved one’s death, you need to request a full autopsy. Only this can indicate whether medical error was the cause. Surgical errors, for example, are indicated by a thorough examination of the body. If an error in medication, whether type or dosage, caused the death, a toxicology report will provide evidence. In order to bring a wrongful death suit, it must be shown that the negligent entity and your loved one had a relationship in which the former owed a duty of care to your loved one. A doctor is always to do no harm, for example; that is a doctor’s duty of care. All citizens need to drive safely; they have breached the responsibility if they’ve done otherwise. In other cases, proving duty of care may be slightly more complicated. If your loved one’s car was hit by another vehicle, and that vehicle had a manufacturer’s defect that caused it to brake improperly, the duty of care might be owed by the manufacturer of the vehicle. Manufacturers must abide by safe practices in making and recalling products. Loss of financial support and loss of value of household services are among the financial damages that can be sought in a wrongful death case in California. Tax returns and other financial records are the best way for your attorney to estimate this loss. Other financial records, such as paystubs, will help the court determine the financial loss. Records of investments and their returns, especially if the deceased person handled all the investments, are also needed. The documentation required for a wrongful death case is in part needed so that potential damages can be estimated. In California, one can receive damages awarded by the court for medical expenses related to the final illness or condition, loss of companionship and consortium for spouses, loss of training and guidance for children, funeral expenses, and burial expenses. Any and all records related to these should be gathered and given to your attorney. Loss of companionship and consortium can depend on length of the marriage, so a marriage certificate should be part of the documentation. If you feel your loved one was the victim of wrongful death, call us today. The Salamati Law Firm is experienced in personal injury and wrongful death cases. We will review your case at no charge to you. Payment will come from any final jury award or settlement amount. Wrongful Death and Survival Actions: What’s the Difference? You may file a wrongful death lawsuit when a loved one has died as a result of another’s negligence or wrongdoing. Compensation: Wrongful death lawsuits compensate family members for loss of love, support, training, guidance, assistive services, protection, companionship, consortium, and the loss to society. They can recover money for funeral and burial expenses. What’s Not Included: Notably, wrongful death lawsuits do not provide compensation for the survivors’ grief, sorrow, pain, and suffering, nor does it allow the award of punitive damages. Claimants: The decedent’s next of kin are entitled to recover compensation in a wrongful death lawsuit. The court will determine the degree of dependency for the surviving spouse or domestic partner, parents, and children under 18. In some circumstances, dependent grandchildren and adult children may have a valid claim. In some cases, the spouse may receive everything and the adult children nothing. Deductions: Since the award is given to the surviving family members, compensation is tax-free. You may file a survival cause of action if the decedent did not immediately die from injuries suffered. Compensation: Survival action lawsuits compensate the decedent’s estate for medical expenses and lost wages the individual would have the right to claim had he or she survived. Other compensation may include punitive and exemplary damages, as well as penalties designed to punish wrongdoers. What’s Not Included: Burial and funeral expenses are not included. The California statute also does not include damages for the decedent’s pain, suffering, or disfigurement prior to death. Claimants: The estate’s personal representative or successor-in-interest can file a claim on behalf of the decedent. A probate estate must be set up before compensation is given out to the respective parties. Non-family members (such as churches, charities, or other specific individuals) can receive proceeds from a survival action if it is noted in the decedent’s will. Survival action proceeds are distributed pursuant to the will or the laws of intestacy in the absence of a will. Deductions: Since compensation is given to the decedent, survival actions are subject to federal and estate tax. If the deceased has unpaid bills – credit cards, medical bills, or other debts – these creditors are paid before the heirs receive their money. Why does it matter whether a plaintiff files wrongful death or survival actions? Hiring an experienced wrongful death attorney will help you navigate the complexities of California law. If your loved one had many unpaid bills and medical expenses, filing a survival action may result in very minimal compensation for surviving kin. However, it is necessary if it’s very important for you to punish those responsible for your loved one’s death. A lawyer is a valuable friend who can educate you on your legal options and advocate for maximum compensation. The attorneys at The Salamati Law Firm in Southern California have an in-depth knowledge of the law that will help you decide whether to file for wrongful death, survival action, or both. Contact our Los Angeles personal injury attorneys for a free, no-obligation consultation. Every state has specific laws regarding the distribution of a wrongful death settlement, which generally includes reparations for losses including funeral and burial costs, hospital and medical bills incurred, loss of household support, loss of marital relations, loss of future financial support, loss of household services, loss of love, society and companionship, and loss of guidance for minor children. Under California Civil Code §377.60, heirs are not able to recover punitive damages in a wrongful death claim. California wrongful death statutes stipulate who is entitled to make a claim against the decedent’s estate, allowing the surviving spouse, domestic partner (if the partnership was registered), dependent parents, children and dependent minors to recover for the untimely death of a family member. As is the case in many other states, wrongful deaths in California may give rise to only one civil action. This means that all relatives and domestic partners who may be entitled to compensation must bring the wrongful death jointly, as one group. 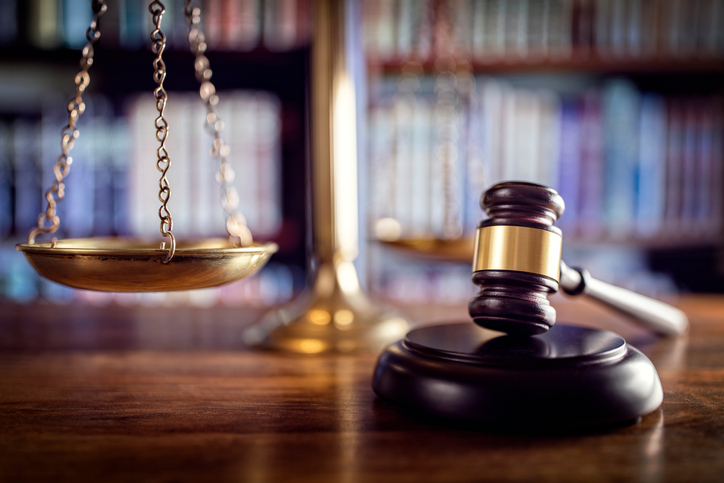 Because of this legality, there are often questions about how the courts distribute a wrongful death settlement among multiple heirs. How is the wrongful death settlement divided? In California, it is largely up to the family members and heirs filing the wrongful death claim to agree upon how much each party should receive out of the settlement proceeds. In a perfect world, claimants will agree to split the monies evenly, or to allocate larger amounts to those who will suffer most from the death, or who are the most disadvantaged financially. However, there are some cases where claimants want more than their “fair share,” thus depriving children or other remaining family of adequate proceeds from the verdict or settlement. If the family members cannot come to a consensus about how the monies will be distributed, the court will be tasked with dividing the damages, looking at the financial needs and future losses of each claimant. As an example, a surviving widower may suffer lost financial support, while dependent children under the age of 18 may have greater economic needs for education and support compared to older siblings. 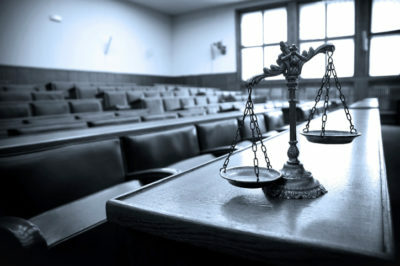 At trial, a California jury will assess the nature of each surviving relative’s damages and losses and attempt to distribute the award as fairly as possible. In situations where the decedent’s insurance policy is limited, the funds would be allocated in proportion to the settlement monies. Some families turn to mediation or binding arbitration to hear each heir’s claim, and make a binding decision regarding how the estate monies will be divided. If there is no agreement as to the proportional shares of a wrongful death settlement, it is important to speak with a qualified attorney to determine the best strategy. If your family has lost a loved one and you need the compassionate assistance of an experienced wrongful death attorney in Los Angeles, please contact The Salamati Law Firm for a free consultation. Though no amount of money can bring back a family member or loved one, effective legal representation can help ensure that proper compensation is procured, reducing the financial burdens of such a traumatic loss. Sean Salamati represents clients throughout Southern California. To arrange a no-obligation case review, please call today.